Peaches are sweat, juicy fruit that have soft, fuzzy skin and a large pit in the middle. 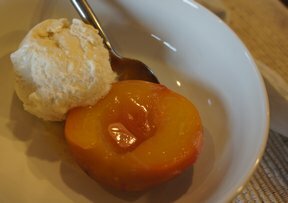 Peaches make delicious desserts and are good in salads. They are also made into sauces and can be canned for long term storage. 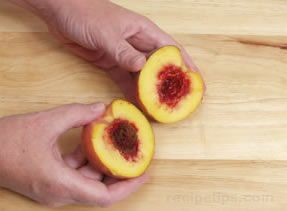 Let us show you how to easily remove the large pit from the center of the peach.